On top of the many economic reasons to use recycled or reclaimed materials, another compelling reason is that these materials, especially those that are retrieved from old structures, usually are of better quality, like wood or timber. Another reason is that building materials acquire a pleasing patina of age that complements styles like industrial, shabby-chic among others. 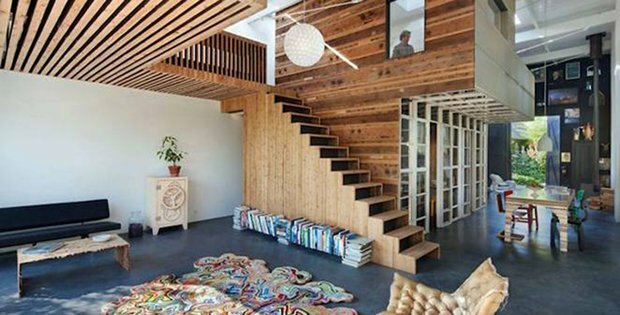 So when inspiration and creativity take over, what results is a house and living spaces that are functional and pleasing to the eyes, creating a certain appeal that is unique. 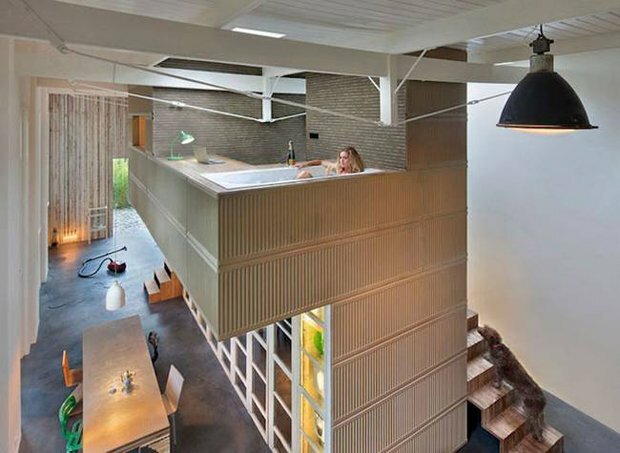 A case in point is this house located in the Netherlands with awesome interiors created by ingeniously reusing unused materials. The interior conveys warmth, playfulness and a touch of elegance and grandeur because of the double volume ceiling height in some areas and the slightly cantilevered second floor. Take a look at these photos and tell us what you think on our Facebook Page! Part of the appeal of reusing salvaged materials in building new things is that the exercise can challenge your creative muscles–you never know what you’re going to get. 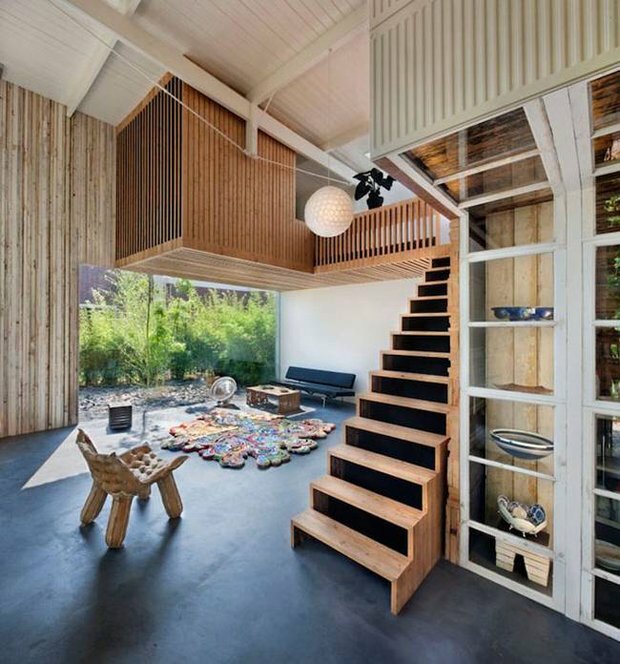 In Utrecht, architect Rofl Bruggink recently purchased a property with both a wooden office building dating back to the 1950s and a coach house from 1895. 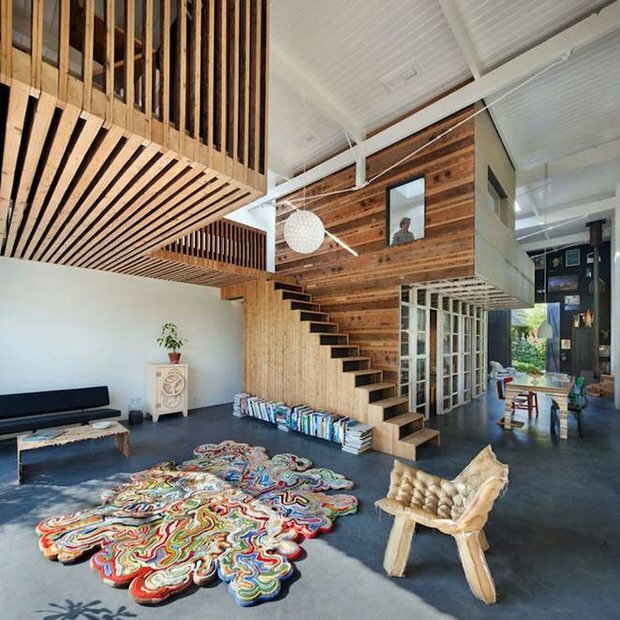 In demolishing the office building, he chose to reuse its materials in the renovation of the coach house, resulting in a playful yet modern space. 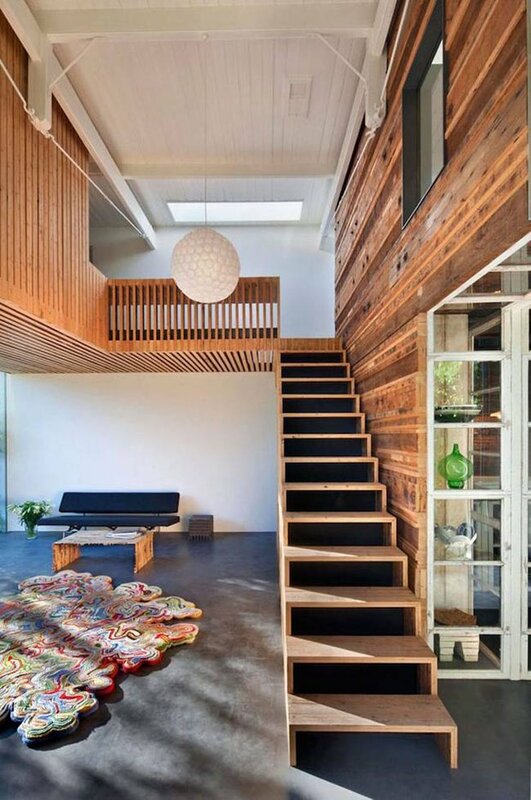 There’s a nice contrast between the modern-industrial aesthetic of the coach house and the salvaged materials used, and a balanced rhythm to how the functional volumes of bed, bath, etc. break down the tall height of the place.